Federal Government has announced the harmonisation of various governments tax and levies operational nationwide, following appeals by the Organised Private Sector (OPS) for a policy in that direction. Coordinating Minister and Minister of Finance, Dr Ngozi Okonjo-Iweala, disclosed this at the Annual Tax Conference (ATC) organised by the Chartered Institute of Taxation of Nigeria (CITN) in Abuja, Thursday. Okonjo-Iweala, represented by the Minister of State for Finance, Bashir Yugudu, said the harmonisation of the tax and levies was to curb illegal taxation and levies encountered in the real sector of the economy. The theme of the conference is ‘Inclusive Economic Growth and Sustainable Developments: Fiscal Imperatives, Prospects and Challenges’’. 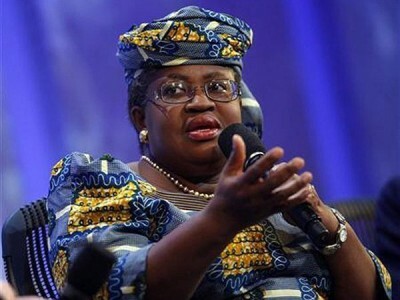 Okonjo-Iweala said the harmonisation was approved at Federal Executive Council (FEC) meeting on May 13. According to her, the President is unhappy with the high level of double taxation and decay in the nation’s operational tax system. She said that a committee, inaugurated in 2012 and headed by the minister of finance, was charged with the harmonisation responsibility. Using the communication sector to illustrate the need for tax and levies harmonisation, she said that network providers, after obtaining licence for the right of way from the Federal Government, were billed by states and local government. She said that contrary to other opinions, the harmonisation would lead to accurate tax and levies assessments and engender voluntary compliance in tax laws without harassment or intimidation. According to her, “We all know that SMEs are growth engine room for this country; the sector contributed over 41 per cent to the Gross Domestic Product (GDP). “We approved a fair assessment of tax for the sector; the process of improving on Internal Generated Revenue (IGR) has to be friendly.